Xochitl Rodriguez grew up in El Paso, surrounded by the ruggedly beautiful terrain of the Chihuahuan Desert. She has traversed just about every trail in the Franklin Mountains along with her adventurous 4-year old daughter Calista. She is an artist, and her passion for the world around her is why Texas Parks and Wildlife Foundation (TPWF) asked Xochitl to join the We Will Not Be Tamed campaign to encourage all Texans to get involved in conserving the wild things and wild places of our state. Xochitl appreciates the work TPWF does to conserve awe-inspiring places for future generations. Places like the 17,351-acre Powderhorn Ranch, a pristine tract of vanishing coastal prairie that will now be conserved forever. Thanks to a partnership effort led by TPWF, Xochitl’s daughter Calista and future generations of Texans will be inspired by this coastal paradise. You can stand with Xochitl and help conserve the best of Texas by joining TPWF today. Will you join us and live among the wild? 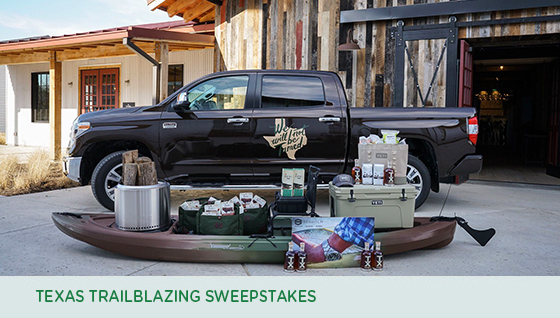 *The price of membership pays for TPWF membership only and not for the chance to win the YETI cooler. Members who join by June 30 are automatically entered in the drawing. Xochitl’s artwork is inspired by the beauty of the place she calls home and the time she spends with her daughter in the arroyos and mountains that surround them. “The art I create is an echo of the journeys I take with Calista,” she says. Texas Monthly featured Xochitl and Calista in the June issue of the magazine, and a video crew also chronicled time they spent together and how it inspires Xochitl’s art. Live the Wild Life and enter today! We Will Not Be Tamed has brought together two women who share a common interest: a love for the outdoors and sharing that love with their children. 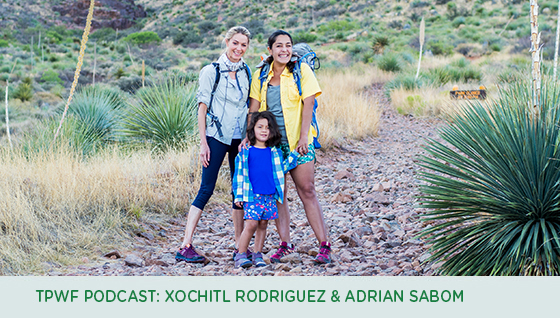 Listen in on this TPWF podcast to hear a conversation with We Will Not Be Tamed Ambassadors Xochitl Rodriguez and Adrian Sabom as they share stories about raising their children to enjoy and appreciate nature.